Product is discounted and includes complimentary bonuses! This campaign does not offer cash compensation, you will receive a free product sample worth approximately $24 for promoting this brand. and a personal discount code for your readers. As you promote campaigns and drive referrals, your Influence Score and pay rate will increase. Create a post about Get Organized Now! on your blog (500 words minimum) and promote this exclusive deal. 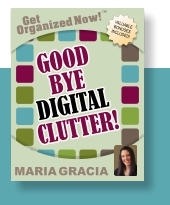 Create a YouTube video about Get Organized Now! (2 minutes minimum) and promote this exclusive deal. Create an Instagram post about Get Organized Now! and promote this exclusive deal. Promote your blog post or YouTube video or Instagram post, or promote Get Organized Now! on two of your social channels. 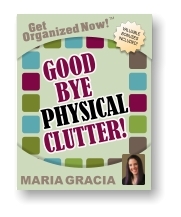 Most people are dealing with some form of clutter...a little, or a lot. 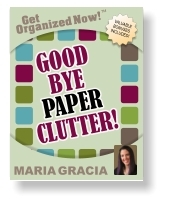 This product will help them eliminate that clutter. Details and benefits about this product can be found on this page: https://www.getorganizednow.com/goodbye-clutter-sl.html?ds Use sections of the copy from this page. It has already been tested and it works. Free product sample: Influencers can receive a free copy of the product (it's digital) so it can be tried out! Post requirements: Roundups allowed - Your blog post or YouTube video may mention or review Get Organized Now! alongside other brands (e.g. how-to, roundup, review of multiple products).